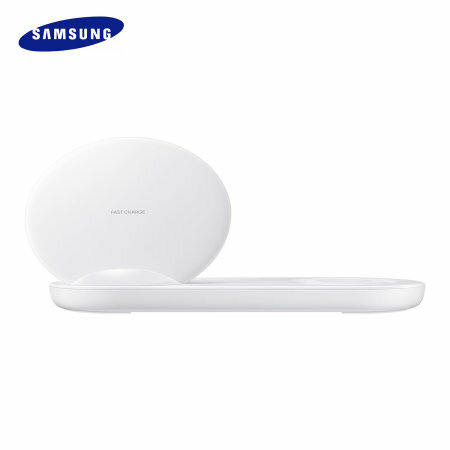 Charge up to two devices at once including your Samsung Galaxy Note 9, with the official super fast wireless charging pad in white. Spend less time waiting around for your phone to charge and more time doing what you want to do with this official charger. Great price, took a week to deliver. Would of been handy to know the charger has European plug, picked up a euro to uk adaptor, works fine. Excellent product, I'm very satisfied with my purchase. I like this wireless charger this is the one of best super fast wireless charger but shiping cost very high 2600 handred reupes not good for buyers. Charges ur mobile a bit slow..but better that other wireless chargers out there. Can charge 2 devices at once and you are getting a samsung fast charge adapter with cable. This product was bought in the intention of having less plugs in the wall. Now I have to buy an EU to NZ adapter. Had this been better advertised as an EU charger needing an adapter I would have bought somewhere else. Be more forthcoming with your description of the product instead of hiding the important info at the bottom of the page! This is a great charger, would be even better if it shipped with a New Zealand plug especially considering this is a .co.nz website. Product works like a dream - even use it for my iPhone. This comes with an EU 2-pin plug and the standard 3-pin Adaptive Fast Charger that comes with the phone doesn't work - it only has output voltages of 9 and 5 volts. It also needs 12volts. None of the 3-pin adapters sold by Mobile Fun have 12/9/5 volt outputs. I my opinion the title of this product should clearly show EU plug. I emailed to complain but got words to the effect - you should have read the small print. Although this is a genuine Samsung product it is delivered with a non UK adaptor (2 pin European), so needs a converter to be able to use. It should also be noted that you can't use your phone adapter as it does not provide a high enough output voltage. It should be made clear before purchase that this is not a UK compliant product. High quality charger, even faster than Samsungs last year model. It comes with a high power multi voltage power adapter. Dual fast charging is a very nice feature.